This year will see several pivotal elections, including the Scottish Parliament and Welsh Assembly elections in May as well as the UK’s EU Referendum in June and the US Presidential elections in November. As part of our continuing work to highlight voting matters, we’d love you to get involved in our new campaign. If you’re going to the WOW Festival at London’s Southbank Centre, do get in touch. 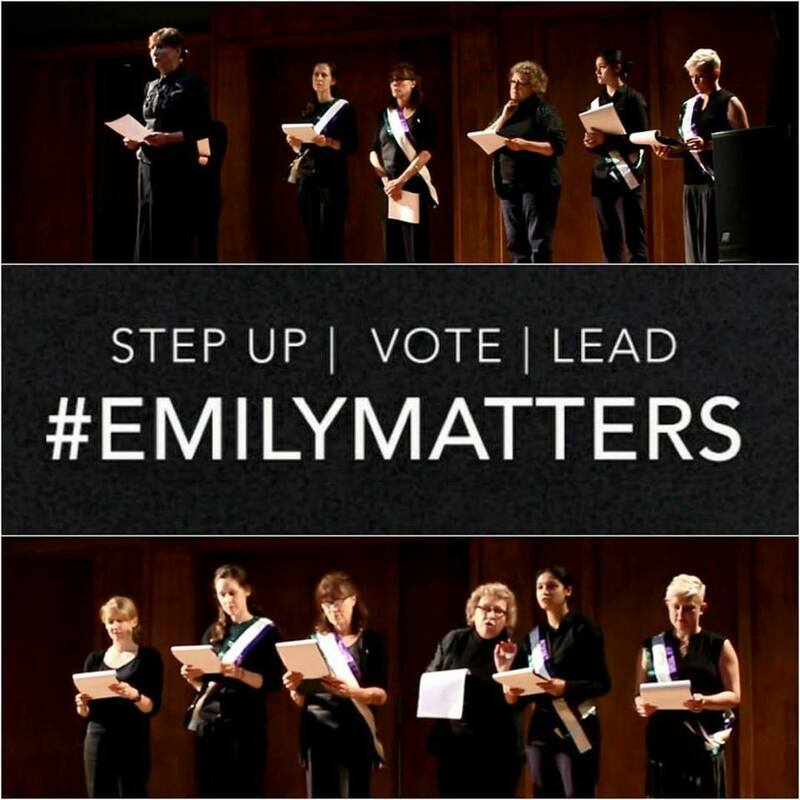 We’ll be there from Thursday afternoon onwards with our #Emilymatters Ballot Box. The campaign started with an historic performance of my suffragette Emily Davison play (To Freedom’s Cause) in the House of Commons in February 2014, the play and creativity remain at the heart of what we do. We’re busy planning new projects in the UK, so please do get in touch. Our outreach work includes talks, performances and workshops that draw on Emily Davison’s empowering legacy. Too many young people and women feel that their voice, their vote doesn’t matter. Having developed and toured the play since 2009, I believe that Emily’s story through To Freedom’s Cause resonates with anyone who is struggling to find their place in the world regardless of background, ethnicity or age. Emily fought for equality and social justice, not just the vote. She trusted future generations to carry forwards that precious torch of democracy and freedom, because she believed, as I do, that you matter. Let us know if you’re going to the WOW Festival and they’ll be plenty of other chances to get involved in our latest campaign, so please do keep in touch!